It’s that time of year when the days are getting longer and so are the to-do lists. 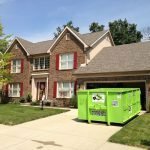 Home Artisans of Indiana is your one-stop shop for all kinds of spring cleaning. James Spink, owner of Bin There Dump That, finds that spring really launches their busy season as homeowners emerge from hibernation, eager to purge their homes of the junk that has accumulated over time. “It’s like, the groundhog went away, spring is here, let’s get rolling,” says Spink, who deposits a small dumpster at customers’ homes and leaves it for a period of seven days, enabling homeowners to fill it up at their leisure. He then returns a week later to haul the junk away. 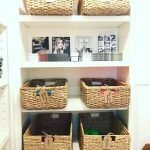 Those who want help with decluttering can enlist the skills of Maria Baer, residential organizer at The Baer Minimalist. “People call me when they have things on their to-do list that they really want to get done but don’t want to spend their time doing,” Baer says. These things may involve organizing a pantry, decluttering a closet or seasonally rotating clothing. Helping her clients find great spots to donate items, such as shelters and churches is also a big part of her job. Once the clutter is gone comes the deep clean – a necessary but often odious task. According to Garten, spring cleaning is an ancestral instinct that dates way back and is all about growth and renewal. 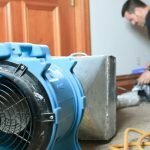 Brian Schutt, owner of Homesense Heating & Cooling, gives a home’s interior a fresh start by way of clean air. 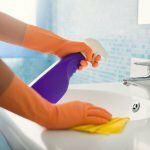 Schutt notes that it’s wise to jump on these spring cleaning services early in the year since companies get busy as the weather warms. “If you’re not on top of it, before you know it, your spring clean has become a summer clean,” Schutt says. Contact Home Artisans of Indiana by e-mailing info@homeartisansofindiana. com or visit them online at homeartisansofindiana.com to learn more.